This strikes a chord with me, especially in the tech space. Bloggers, Podcasters, Startups, etc… are good example of distributed property owners. Certainly they have investors in many cases, but not always. And they own their own means of production. I find the idea of encouraging wide property acquisition, but discouraging oligopoly, quite fascinating. If you take away the prospect of owning your own property, then you undermine many motivations for industry. However, if you take away the prospect of owning everyone else’s property, or owning large disproportionate amounts of property, you do little to discourage personal industry. Let’s say I want to be rich. I do not want to be megalomaniacal rich necessarily. If I think I can be rich, but not ridiculously rich, I will continue to work hard. But what happens if I become rich? Will I still be motivated to industry? Human nature testifies against this. Most who have the motivation to become rich maintain the motivation to keep it. And most who become rich agree that the money no longer matters after a point. It becomes a game they can win. That’s what motivates them. Money is just a convenient scorekeeper. There are other ways to keep this score than money. And the money number once irrelevant can be lower and still motivate. This is not a defense of Dsitributism, nor do I think the philosophy is without flaws. But I think we could benefit quite a bit from an injection of this perspective into our current debates, and our ways of doing business. 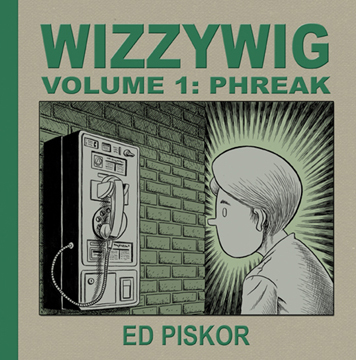 Sometime before Christmas, I got a package in the mail from Ed Piskor containing copies of the three volumes of his graphic novel series Wizzywig. It looked cool, and Ed explained in an enclosed note, that it was the tale of a hacker, Kevin Phenicle, who was sort of a compilation of many hackers including Kevin Mitnick, Kevin Poulsen and others. I posted to Twitter about receiving the books but they sat on my desk waiting for me to take the time to crack into them. Finally this week I grabbed Volume 1: Phreak on my way out the door and read it on the bus. I tore through the novel in no time. I’m sorry waited. Wizzywig rocks. It’s a well-done tale touching on the highlights of hacker culture woven into the life of the fictional Kevin Phenicle, but recognizable to anyone familiar with the history. You’ll definitely be able to figure out which chraacter is Emmanuel Goldstein, Captain Crunch, and probably the most recognizable, Steve Jobs and Steve Wozniak. At the end of the book Piskor includes notes, referenced by page number and panel, that give some of the background of the real events behind the parts of Phenicle’s story. With the notes, the book becomes an accessible and well-rounded introduction to hacker history. Not just that but Piskor really does a good job explaining the hacker ethos and how it’s not about vandalism, but exploration. The illustrations are great. They reminded my very not-expert eyes of R. Crumb, but with Piskor’s own stamp. For instance, Phenicle has Little Orphan Annie eyes (he being an orphan). And backgrounds have some nice hidden gems if you’re looking close. Overall I really enjoyed reading volume 1 and can’t wait to dive into the next two. You can pick up the first two as a free PDF from EdPiskor.com. Or just head right into his store and purchase a paperbound copy. I recommend at least trying out the PDF. Piskor obviously is steeped in hacker history and is a talented artist and storyteller to boot. You are currently browsing the SuBBrilliant Blog weblog archives for February, 2010.